We didn’t have a deep emotional bond that warranted being so broken up about her suicide. But I was anyway. I read this article and found it very interesting, thought it might be something for you. The article is called Wishing My High School Classmate Had Made It to College and is located at http://modernloss.com/wishing-my-high-school-classmate-made-it-to-college/. I saw Maggie for the last time, as I drove away from school on a Sunday evening after a weekend mock trial tournament down in Olympia. It was March of our junior year of high school. 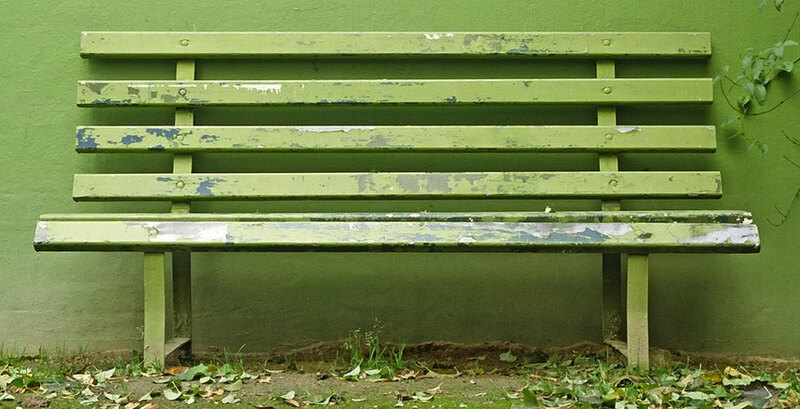 Maggie was sitting alone on the green bench in front of school, waiting for her parents to pick her up. I bent down to wave out the passenger-side window. I think she waved back. I wish I’d decided to park my car and sit next to her instead. The next day, Austin told me what had happened. Maggie had killed herself sometime during the night. He didn’t know how or why. I remember that my friends cried a lot that day, though I didn’t. I can’t tell you why I didn’t. A group of us met at a Denny’s late that night so we could be together. We shared memories of Maggie over plates of limp bacon and mugs of stale black coffee. We went to a small school, the kind where you knew everyone by face if not by name. There were 68 kids in my graduating class; there would have been 69, had Maggie survived. She and I had been in the same class since 6th grade, and on the same mock trial team since 9th grade. I’d asked her to the homecoming dance freshman year. She said yes, but she fell sick and couldn’t make it. I’d be lying if I said we shared some deep emotional bond that afforded me the right to be quite so cut up about her death. I still was, though. After I graduated from high school, I left Seattle and went to college in Philadelphia. I soon I fell into the rhythm of college, plodding up Locust Walk on weekday mornings and stumbling down it on weekend nights. That first year, I don’t ever remember thinking I fit in at school — even as I reveled in my newfound independence. I didn’t have to lie to my parents about my whereabouts or girlfriends or drinking. I remember thinking that Maggie would’ve been so much happier in college than in high school. She would’ve felt freer, outside the bounds of a small, private school in North Seattle. Years on, and thousands of miles away, Maggie was never all that far from my mind. I remember sitting in my dorm room, frantically checking my online calendar, searching for that weekend in March when she had died, afraid of losing the date to my porous memory. After my freshman year, I went home to Seattle, which looked and felt unchanged. 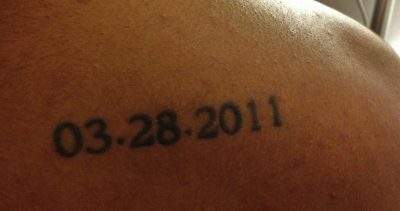 That summer, I paid an artist $100 in exchange for tattooing “3.28.2011” behind my right shoulder. Now I couldn’t forget. I remember visiting an old haunt that summer, a secluded spot overlooking Lake Washington. Tucked away down a long set of steps from the street above it, I sat alone on the log that looked out at the water. I slipped my left hand over my right shoulder, under my shirt, to feel the ridges of the ink on my skin. If only Maggie had made it to college, I thought. If only. I reached for those ridges while I looked out at the Eiffel Tower from my friend’s house in Paris; while I sat at a restaurant on Sansom Street listening to my friend’s inane stories about his sister’s useless boyfriend; while I ate freshly caught mussels with newly made friends on the beach in Senegal, where I spent a semester during my junior year. If only she’d made it to college, I thought. If only. A couple months into that semester abroad, I sat in a dingy computer lab in Dakar, and scanned my college newspaper’s website. I saw a headline about a suicide, one in a string the school had faced in recent months. I saw Amanda’s name and my skin grew hot. She wasn’t a close friend. I’d taken a class with her. We’d gone to lunch a few times. Still, my eyes blurred as my brain processed the news. But she’d made it to college. Five years ago, if I’d sat down next to Maggie that day in March, on that green bench in front of school, I would’ve told her to wait for college. To wait for her phase in life to change, to grow into a new chapter that allowed her to live at peace with herself. But Amanda had made it to college. That didn’t save her. The truth is that we don’t know when things will get better, and the waiting can feel unbearable — even if happiness lies just on the other side. So let’s not tell loved ones to wait; let’s deal with the hurt now. I still wish I’d chosen to sit next to Maggie that day in March. I just should have asked her how to make her next moment in time a good one. I recently watched a band perform for a spirited, swaying crowd at a cash-only bar in Nashville. I ran my fingers along the ink on my shoulder, sharing the moment with Maggie. It was a good moment, and I think she would’ve enjoyed it. Kaustubh Deo is a senior at the University of Pennsylvania, where he is studying business and international studies. He plays for the Club Ultimate Frisbee team and is a member of the university counseling department’s student advisory board. He’ll be moving to Boston to begin real life in July, though Seattle will always be home.